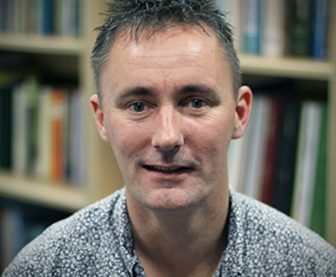 Philip Waters was a PhD student at the ECEHH analysing the use of narrative as a means to engage children playfully in the natural environment. Throughout his career Phil has worked with thousands of children in many different contexts using play as both a vehicle for transformation, while also valuing and celebrating its intrinsic value in children’s daily life experiences. Phil has written and delivered various playwork training programmes in the UK and the USA. Phil has a particular interest in children’s fiction and in the nature of how stories can be used as cultural and social tools for transformation. A keen writer, publishing material on play and children’s participation, Phil’s best kept secret (other than a two-year stint playing Mr Blobby for a theme park!) is writing a children’s novel. Collectively all these elements conspire to make the content for Phil’s PhD; the use of narrative as a means to engage children playfully in the natural environment, with ambitions of increasing their physical activity and their ecological literacy and altruism for the natural world. For further details of ‘Narrative Journey’ as an applied pedagogy, the link below provides details of a paper entitled: Trees Talk: Are You Listening? Philip has now completed his PhD but continues to be an honorary member of the ECEHH.